Thursday's GOP fight night averaged 14.5 million viewers across CNN and Telemundo, the biggest total audience for any debate since last December. According to overnight Nielsen ratings, 13.2 million watched on CNN and 1.3 million watched the Spanish-language broadcast on Telemundo. For perspective's sake, the most recent Democratic debate, on PBS and CNN, had a combined audience of 8 million. 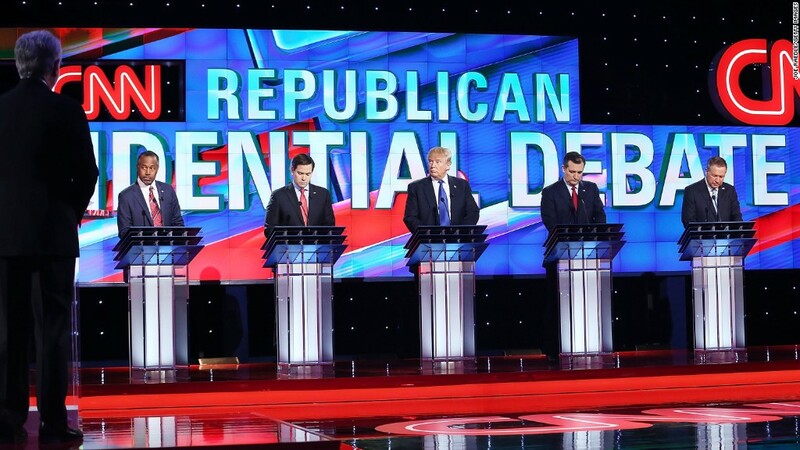 The ratings confirm that there was intense interest in Thursday's GOP match-up. The debate handily beat another televised competition, "American Idol," which had about 8.7 million viewers. In fact, the only higher-rated show on TV on Thursday was "The Big Bang Theory" on CBS, which averaged 15.7 million viewers. The combined 14.5 million for CNN and Telemundo ranks as the highest-rated debate since CNN's GOP forum in Las Vegas in mid-December, which had 18 million viewers. Both debates were moderated by Wolf Blitzer. Earlier this month CBS averaged 13.5 million viewers and ABC averaged 13.3 million for a pair of Saturday night GOP debates. The other Republican debates so far this year have averaged 11 million (on Fox Business in mid January) and 12.5 million (on Fox News in late January). The first two GOP debates of the cycle -- when Donald Trump's presence on stage was still a novelty -- remain by far the highest rated of all. The inaugural Fox News debate in August had 24 million and CNN's first debate in September had 23 million. The Nielsen ratings only count people who watched at home via TV. As in past debates, CNN made a live stream of the event freely available via the web as well. The stream "peaked at 10:05 p.m. with 708,000 concurrent streams," a CNN spokesman said. Past CNN debates approached a million peak concurrent streams.